I am an Assistant Professor of Finance at Michigan Ross since July 2018. My research lies at the intersection of financial intermediation and monetary policy. I study the transmission of unconventional monetary policy and macroprudential regulation on credit supply, financial stability, and asset prices. I was an Economist at the Federal Reserve Board from September 2016 to June 2018. 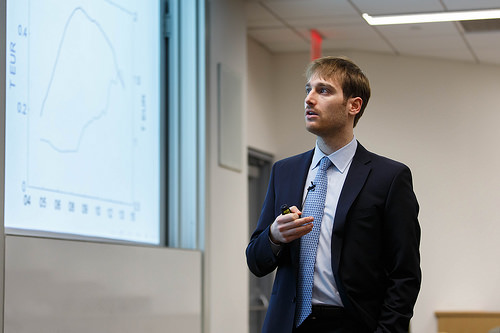 My papers were awarded the ECB Young Economist Award and the Macro Financial Modeling Group (Becker Friedman Institute) Dissertation Fellowship. I obtained a Ph.D. Finance from NYU Stern in Spring 2016 with previous degrees at Bocconi (BSc Economics) and LSE (MSc Finance and Economics).